Well hello, readers! We’re three hours into the first 24in48 of 2019, and we are SO. EXCITED. If you’re just popping in for the first time, a few bits of housekeeping for you. Second, assuming you’re already signed up, don’t forget to enter fill out the intro survey for a chance to tell us (and other readers!) 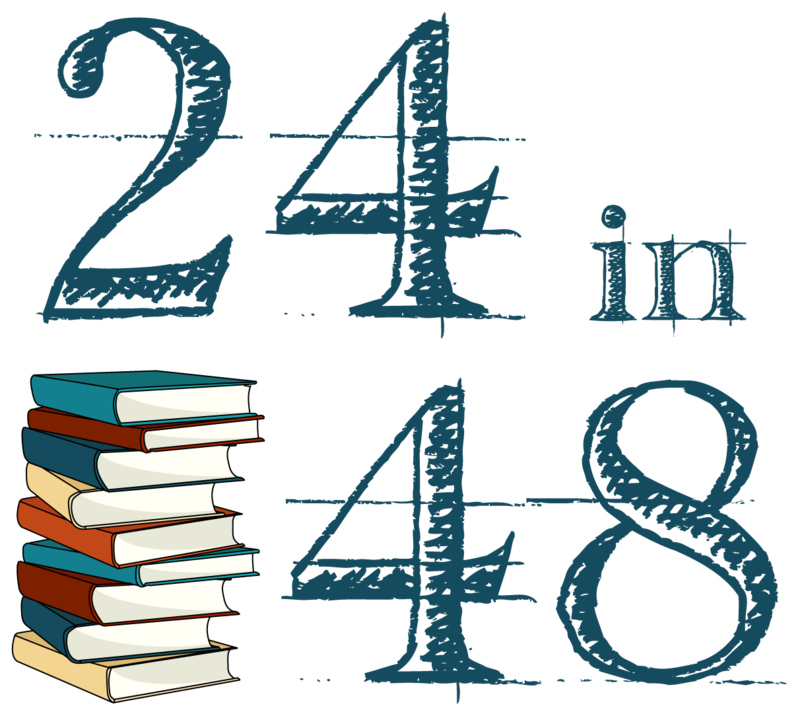 more about yourself and your 24in48 reading plans. We’ll draw prize winners from the intro survey in Hour 24. If this is your first 24in48, we hope you’ll settle in for an amazing weekend of reading and connecting with other readers around the world. Feel free to send us any questions on Twitter, Instagram or via email, and we’ll get back to you as quickly as we can. You can also check out the FAQ page for answers to the most commonly asked questions. We’ll let you get to the reading now, but first, door prize winners! If you won a door prize, head over to the prize page to pick your prize. If you didn’t win this time around, keep checking back here for door and challenge prize winners throughout the weekend! I didn’t see my name on the participant list. What should I do? Just seeing this now! Glad you found it — let us know if anything else comes up. This is my first readathon! I’ve been at it since the clock started. Going strong for a few hours tonight, then sleep. So glad to be a part of this! So glad to have you! !